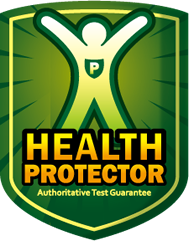 WHY DO YOU NEED UV DEFENDER? 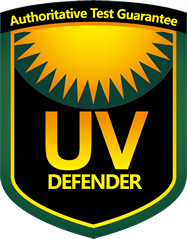 UV DEFENDER KEEPS YOUR LAWN FRESH & GREEN! 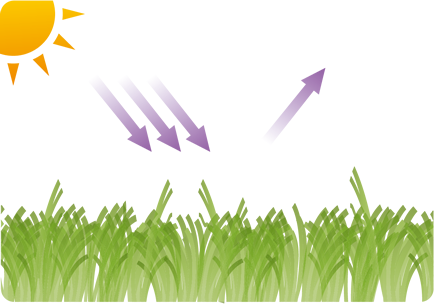 Like our skin will be burnt under sunlight, artificial grass can also be damaged by sunlight. 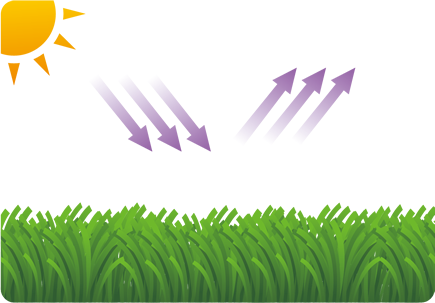 UVA and UVB rays in sunlight are killers who have the ability to fade the grass and reduce its lifespan. That’s why artificial grass needs high anti-UV ability to keep itself green and stable. The mean radiation distribution of UVA and UVB on the earth differs from time to time, and from place to place. You may come from a low UV radiation place, or you may come from the places where annual sun exposure is higher, such as equatorial zone, sunny latitudes or thin air areas. CCGrass landscape can fulfill all your needs since it has passed both UVA ageing test and UVB ageing test for fierce 3000 hours.